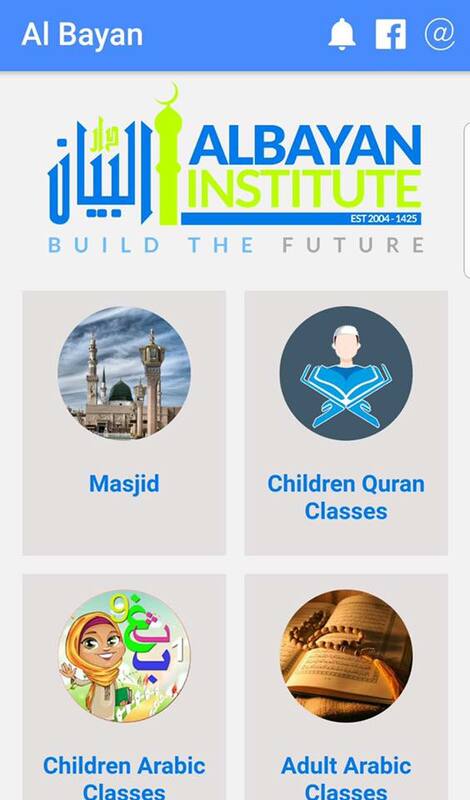 AlBayan Institute is launching it’s new app. Be INFORMED of all things ALBAYAN from Masjid to Madrasah OR even Events. If it’s HAPPENING at AlBayan then you’ll be the first to know. Don’t forget!! Ensure you switch on notifications so you won’t miss a thing!